On the evening of January 30, the annual State of the School address took the form of a 95th Birthday Party combined with a major announcement about Green Vale's future. A presentation in Harris Theater began with a video chronicling GVS history through the recorded remembrances of alumni as well as photos and other imagery spanning many decades. Head of School Jesse Dougherty then announced the Board's approval of plans to enhance the School's academic offerings through new construction and renovation of existing spaces beginning in June 2018. Board President Hartley Rogers announced that a capital campaign to raise $15 million for both new spaces and an endowment for faculty excellence is underway. 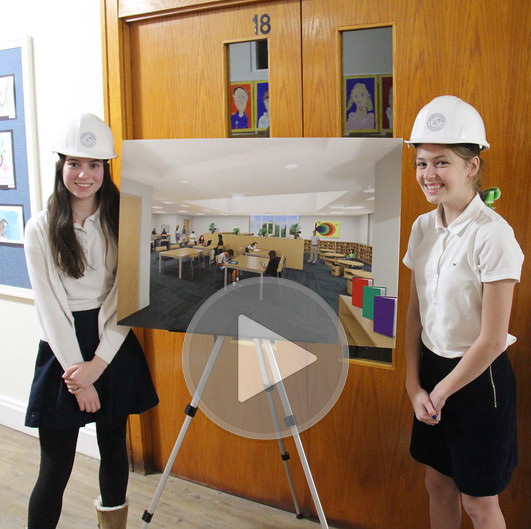 View the complete presentation featuring remarks from Head of School Dr. Jesse Dougherty, Board President Hartley Rogers, and Vice President Gabrielle Bacon, as well as the unveiling of the new plans. 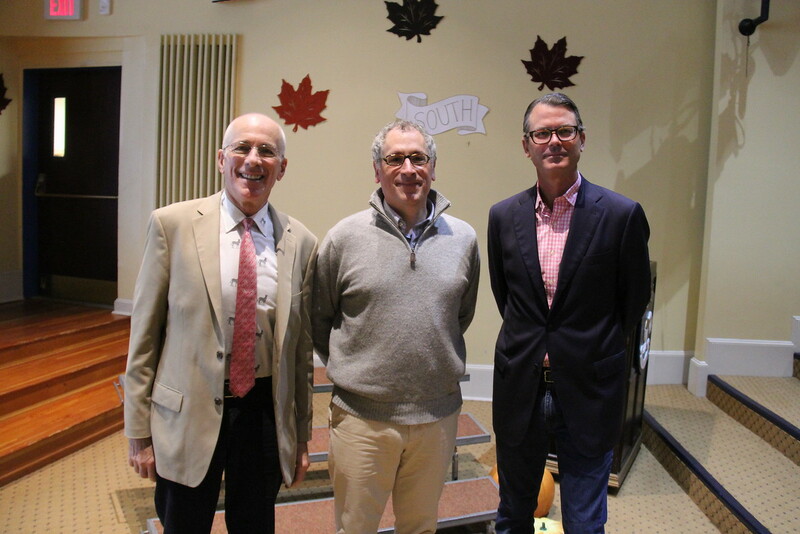 Joseph Rossano '78 presenting to the Upper School on "Conservation from Here", his art exhibition at Sagamore Hill, on Oct. 25. Also pictured are faculty member Peter Zaloom (far left) and Freddy Bancroft '78 (far right). 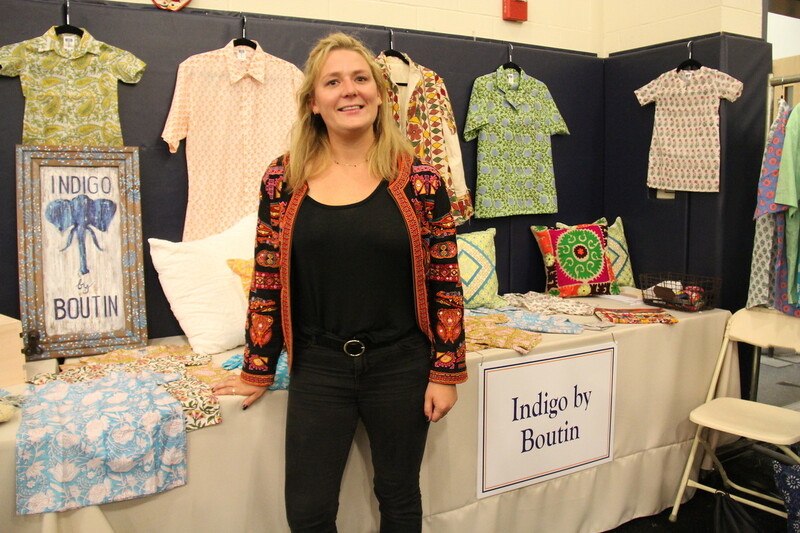 Antonia O'Hara '07 of Indigo by Boutin selling her merchandise at Fall Boutique on Nov. 3. Classes of 2014-2017 joining former teachers for dinner at the Young Alumni Gathering on Nov. 20. Emily Prey '07 speaking to students in the 1920 Club about her experience working at a girls' shelter in Thailand on Dec. 5. ﻿Join The Green Vale School Alumni Network on LinkedIn to share your or a classmate's accomplishments for inclusion in a future issue and post a job for the group. We are collecting Class Notes for the next issue of Green Vale Magazine. Please click here to share your news and photos with us or email us. Plans are already underway to commemorate and celebrate the 100th Anniversary of Green Vale in 2023. To that end, we are forming an Archives Committee to help with this historic milestone. Would you be willing to help identify people in photos, reach out to classmates for their memories and stories, or simply play a role in organizing what we have? We can work according to your time and interest level. We would love to hear from you. Contact Alexandra in the Development Office. 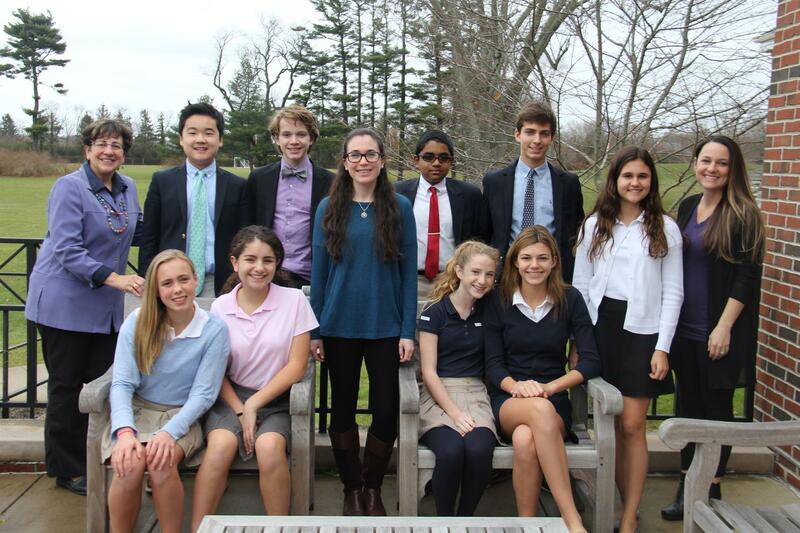 For a peek at the fun and the learning that are daily life at GVS, follow @greenvaleschool on Instagram!